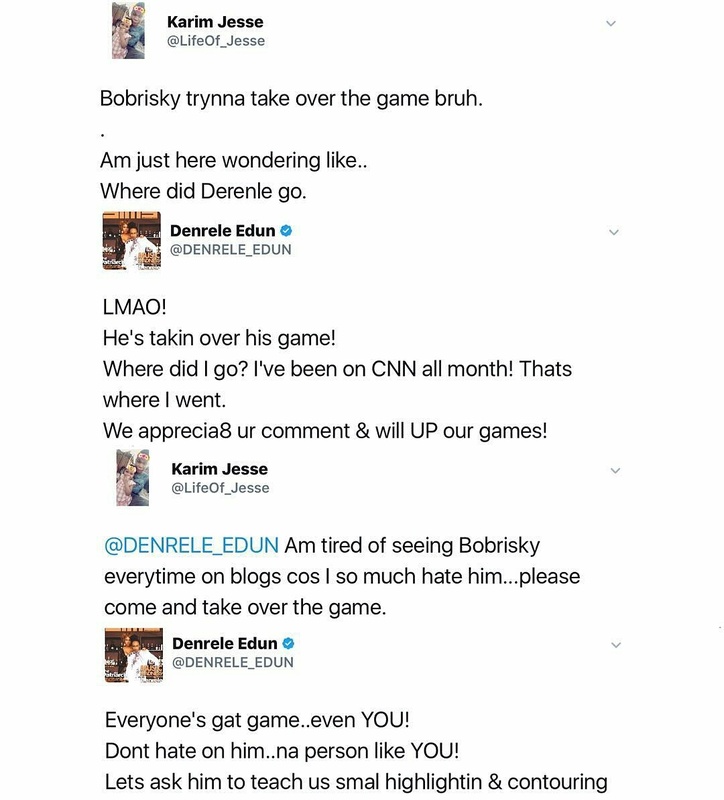 Denrele @denrele tells fan who expressed her hatred towards Okunleye Idris popularly known as Bobrisky to "learn from him" instead of hating him.
" @denrele_edun am tired of seeing Bobrisky every time on blogs cos I so much hate him.... Please come and take over the game. " Denrele @denrele_edun replied "everyone's gat game...even you! Don't hate on him..na person like you! Let's ask him to teach us small highlighting and contouring"